This post is sponsored by Disney. All opinions are my own. I am still processing everything that happened a week and half ago. 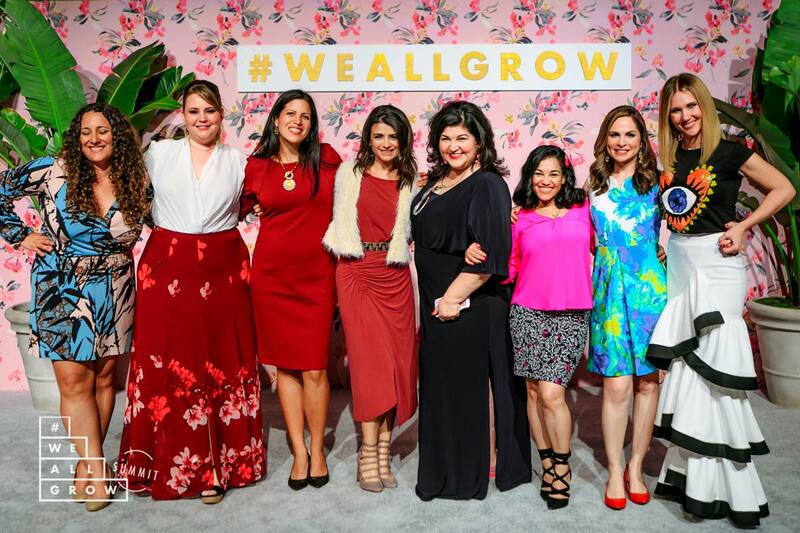 I was selected as one of 6 storytellers for the #WeAllGrow Summit by the ‘Dream Big, Princess’ campaign by Disney. 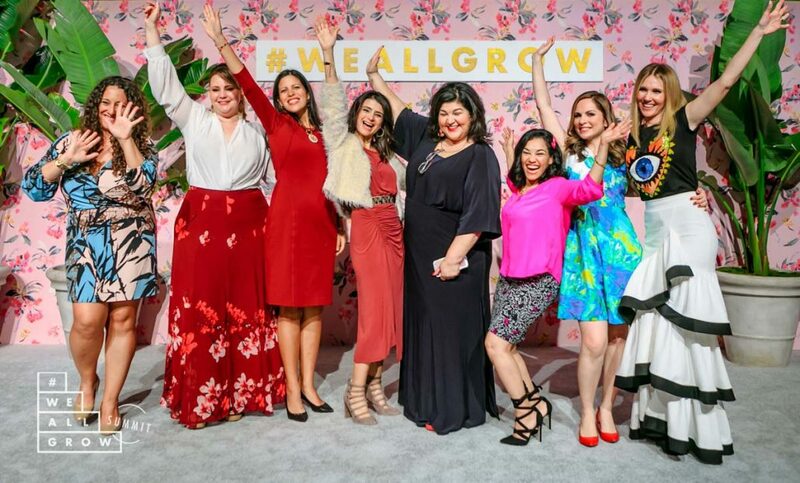 The #WeAllGrow Summit is a latina bloggers conference and there is a special portion of the conference where the storytellers come up on stage and get to share their story. 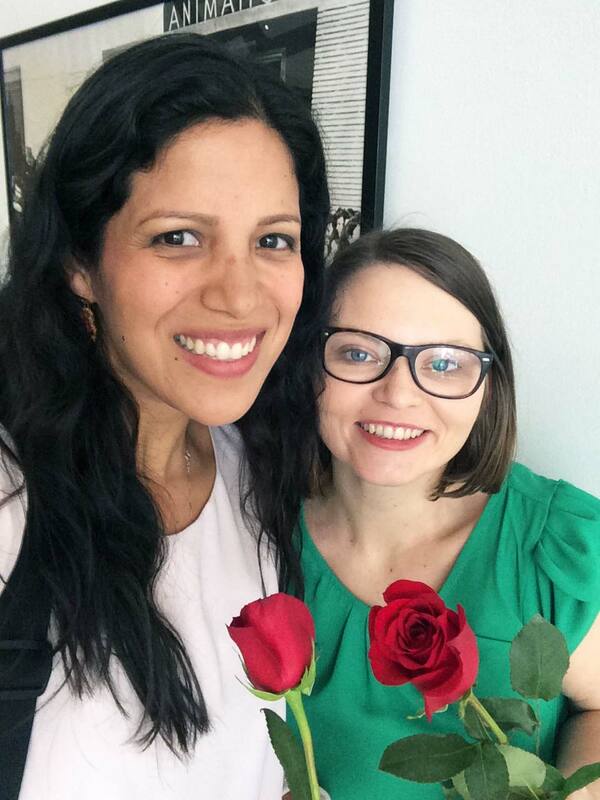 As a storyteller, I was also able to bring a blogging bestie with me, Jeni from thymeandlove.com. It truly was one of the most memorable experiences of my life! 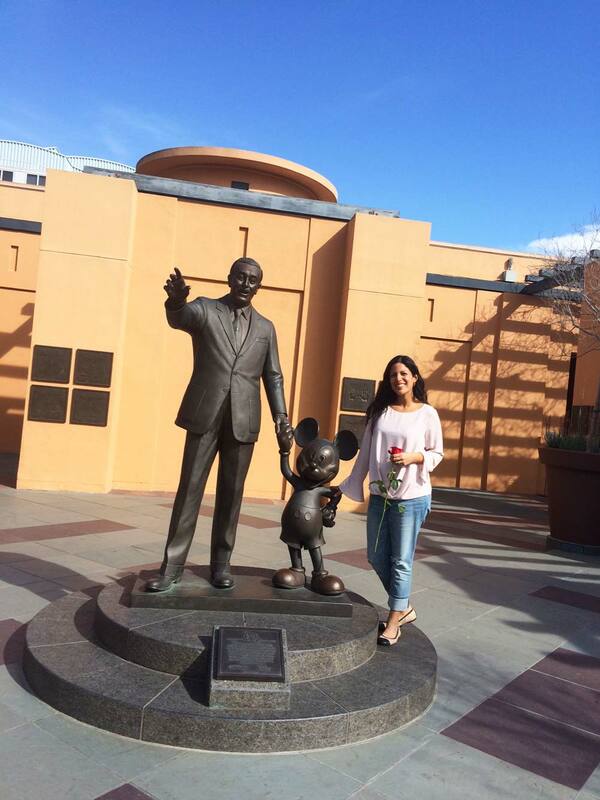 The conference started with a field trip to the Disney Studios in Burbank, CA. I had never been to the Disney Studios and it was a true treat. We were able to pre-screen The Beauty and the Beast live action film, have lunch in the executive lunch room, visit the Disney Studio Store, and had a sneak peek and a Q & A with the creators of Tangled Before Ever After. My favorite part was the pre-screening of The Beauty and the Beast. Never in my wildest little girl dreams would I have imagined that one of my favorite animated films could be brought to life so beautifully. The special effects, the costumes, the singing, all of it was a perfect interpretation of the original movie. I thought Emma Watson was a great Belle, and I kind of developed a crush on Luke Evans as Gaston. I especially liked the way Belle was portrayed as different from the rest of the town, because she has a voice of her own, she refuses to settle for the norm, and she’s not afraid to stand-up for what she believes in. The beast was very realistic and scary, so I will probably wait to take my 2 and 7 yr. old to see it, but I can’t wait until they can enjoy it too! 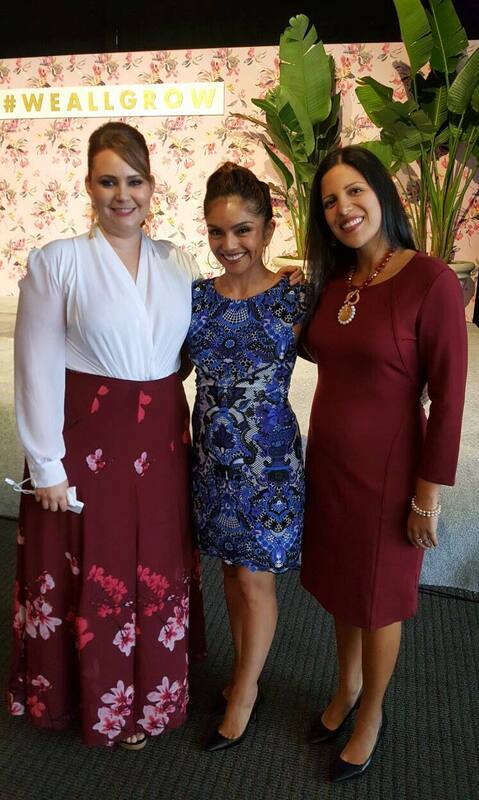 The day ended with a Frida themed #AlasparaVolar cocktail party, which included lots of dancing, pictures, and yummy food. The second day of the conference was busy and exciting. As part of winning a spot as a storyteller my bestie and I were able to stay in the Hotel Maya for 4 nights in a gorgeous room with a view of the marina. The day started bright and early with breakfast, keynote speakers, and conferences. I gave a conference of my own: Generating Income by Self-Publishing an Ebook. I was worried that I was going to bore everyone, because some of the steps to self-publishing are frankly quite boring, but everyone seemed really interested and eager to learn. Once that was done I was able to focus and practice for the big storyteller night. 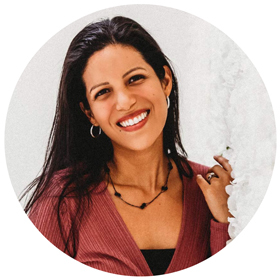 In the month before the conference I was able to receive advice and mentorship from Kathy Cano-Murillo, the Crafty Chica, she is an experienced storyteller, and she guided me through the whole process. It was all quite nerve wrecking. The funny thing is, as we were going through what parts of the story to keep, and which to cut out I discovered some wonderful things about myself and my relationship to Princess Tiana. I had always been drawn to Princess Tiana, because she wanted to open her own restaurant and it was easy to identify with that, but as we dug deeper into the story I began to see myself truly reflected in the Princess and the Frog, and Tiana’s journey. We nailed down the story a couple of days before the conference, and now all I had to do was get up in front of 400 people and tell it. The last day of the conference I was a ball of nerves. I kept going over my story in my head. I was really worried that half way through the speech I was just going to go blank and stare at the audience. After getting ready and all dolled up, we headed over to do a short interview on camera for the ‘Dream Big, Princess‘ campaign. 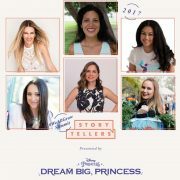 (Being a part of this campaign was very important to me because I have a 2 yr. old daughter, and I want her to grow up like I did with the Disney princesses. I want her to be a part of the new fairytales, where the princesses are strong, decided, courageous, and aren’t afraid to stand-up in what they believe in.) After going over our slideshows and doing a sound check, it was finally time! I was the third storyteller to go up on stage. I could go on and on about my story, but instead why don’t I show you the official video of it. 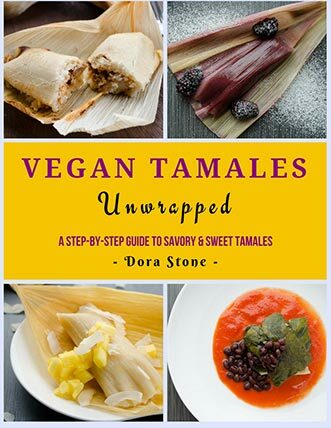 03/20/2017 /2 Comments/by Dora S.